At a time when western society is becoming increasingly sensitive to appropriation of American Indian cultures in sports (Washington Redskins) and pop music (Flaming Lips), and eagerly cries foul at any white person costumed as a foreign minority, we are still living in a minstrel-show culture when it comes to the “No problem, mon” depiction of Rastafarians. Ironically, this gap in the PC protocol is an extension of the most successful tool white colonists have used to subjugate black people in both the U.S. and Jamaica’s post-slavery societies: Anti-marijuana propaganda. The same campaigns that have convinced society that potheads can’t be taken seriously have also led the world to believe that Rastafari is not a real religion, and therefore undeserving of the same reverence and respect we give to other beliefs and traditions. A Google image search of the word “Rasta” brings up headshop posters of rasta caricatures and Caucasian models in rasta Halloween costumes. Cartoons like Rastamouse and Reggae Shark employ stereotypes reminiscent of America’s blackface cartoon characters. Outside of reggae music and pot smoking, mainstream society is mostly ignorant of the rich and eclectic history of this Hebrew-Caribbean hybrid of faith and culture. 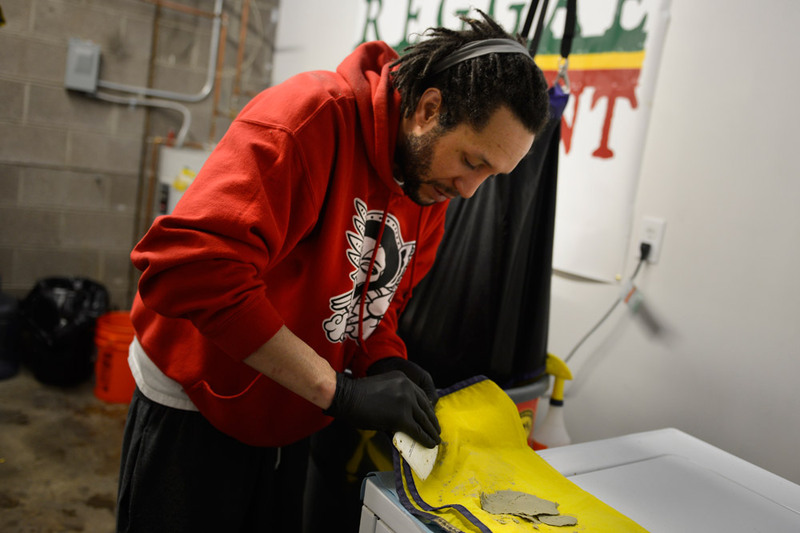 Denver native Ronnie Weir has been a practicing Rasta for eight years, sporting the traditional dreadlocks and thick beard whose biblical origins come from the same Nazarite law that prevents Hasidic Jews from trimming their head and facial hair. Like many Rastafari, Weir doesn’t eat meat or drink alcohol. He also keeps his sugar intake to a minimum, exercises regularly and follows many of the dietary restrictions found in the Old Testament. Weir’s identity as a Rasta hasn’t always been met with the same sensitivity that other, more mainstream faiths might be greeted with. For a time he worked at Denver’s Swedish Medical Center, though he was often reprimanded for wearing the traditional Rastafarian headwrap. “I wasn’t allowed to wear my headwrap, but Christians could wear crosses and Muslims can wear whatever they want,” he says. Like Bob Marley, Weir was born to a white father and black mother. And while Rastafari has its roots in black liberation (and at times, black supremacy), it was primarily Caucasians who celebrated reggae music and Rasta culture when Marley was touring the U.S. throughout the 1970s. This generation of white kids sporting dreads would come to define the Jamaican faith and culture in the U.S., often neglecting the spiritual traditions of Rastafari in favor of a more commercialized world of hacky sacks and jam bands. “Rastafari is an intricately woven tapestry of mystic faith, stretching back to the Egyptian kings and the early fathers of the Old Testament,” says Gerald Hausman, author of “Rastafarian Children of Solomon” and editor of the most recent edition of “The Kebra Nagast: The Lost Bible of Rastafarian Wisdom and Faith from Ethiopia and Jamaica,” a 700-year-old biblical text revered by Rastas and Ethiopian Christians. Like many faiths, Hausman says the history of “The Kebra Nagast” is “an oral tradition, making it difficult to pin down where it came from.” The basic story extends back to the Hebrew King Solomon around 950 B.C., who is said to have impregnated the African Queen of Sheba during her visit to his temple in Jerusalem. Her offspring in Ethiopia could then be considered a holy bloodline of “God’s chosen people,” essentially making them African Jews. 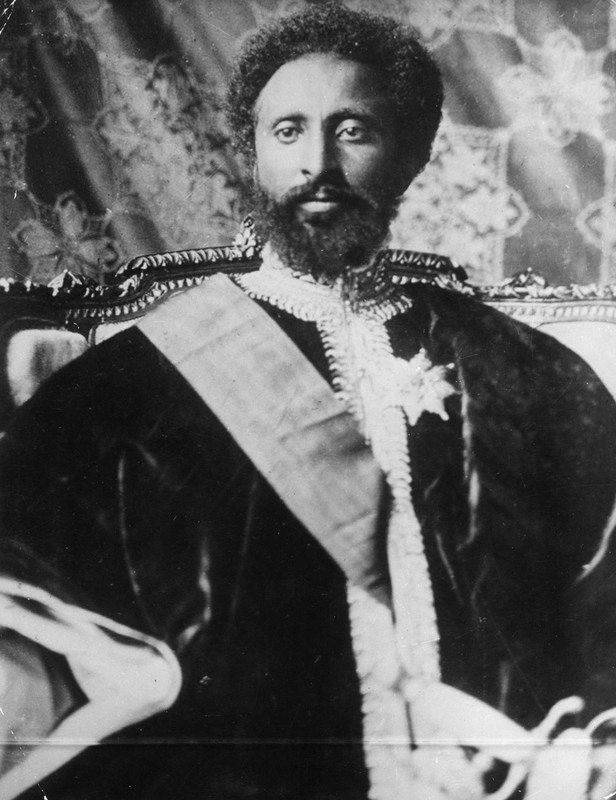 Fast forward almost 3,000 years to the 1930 coronation of Ethiopian Emperor Haile Selassie, who was believed to have been the descendant of Solomon and the reincarnation of Jesus Christ, fulfilling Biblical prophecy found in Psalm 68:31: “Princes shall come out of Egypt; Ethiopia shall soon stretch out her hands unto God.” Ethiopian Christianity actually predates European Christianity, and in their traditions Jesus is always depicted as black. The belief of Haile Selassie’s divinity was a beacon of hope for those in Jamaica, where the descendants of the trans-Atlantic slave trade were still suffering the colonial oppression of an all-white government, which left many stuck in a rigid system of poverty and police harassment. Black liberation icon Marcus Garvey would lay the foundation for Rastafarians’ beliefs and actions, encouraging Jamaicans to look to Africa for their power and heritage — going so far as to create The Black Star Line, intending to ship descendants of slaves back to their homelands. He is often viewed as the John the Baptist of Rastafari, though he was seen as a threat to Jamaican authorities who thought he could potentially liberate the country’s laborers. Jamaica’s road to independence mirrors that of African-Americans, having abolished slavery a few years before the U.S. did, gaining independence from England around the same time as Martin Luther King was leading his Civil Rights marches, and putting a black prime minister into power well before the U.S. elected its first black president. And just as it has been argued that our white government criminalized marijuana as a means of oppressing working-class minorities hanging out in jazz clubs, Jamaica’s criminalization of ganja came at a time when its popularity was increasing among those looking to rebel against the government.